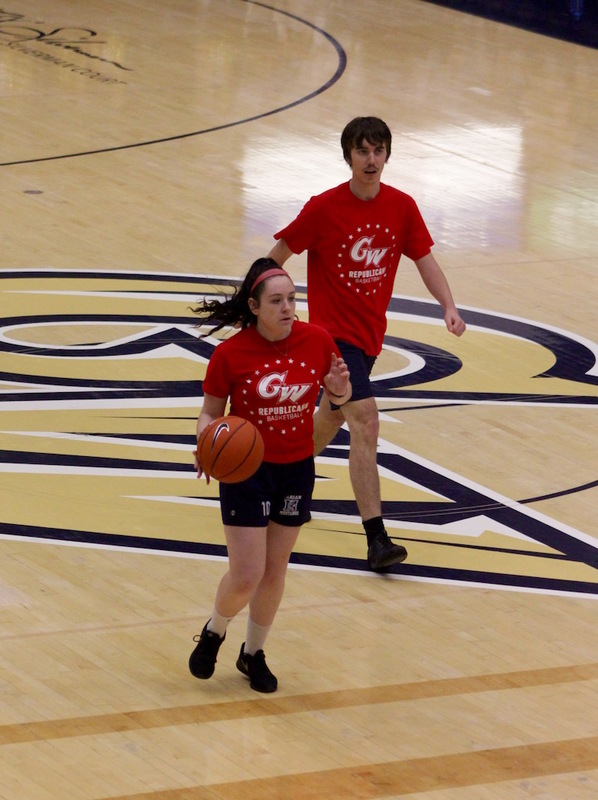 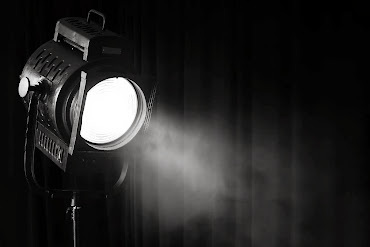 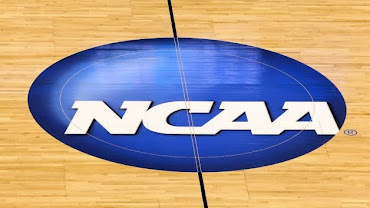 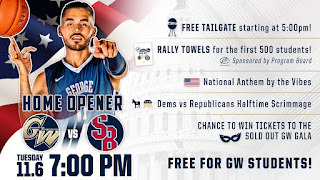 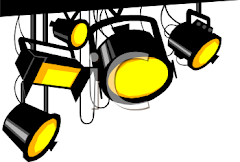 The 2018-19 GW men's basketball season got off to a flying start on Election Day as the early returns showed the Colonials with a 22-0 start against the visiting Stony Brook Seawolves in the opening 10 minutes. The GW defense didn't allow a field goal until 9:17 remained in the first half while the Colonials enjoyed a 23-point at its largest, but the Wolves found the comeback trail as the polls didn't close until after regulation. GW would go on to hold the lead until 1.8 seconds remained when Stony Brook found the tying bucket in the paint to send the game to overtime and flip the house. From there, while the Colonials had their chances, the Seawolves escaped Smith Center by handing the Buff and Blue a 77-74 defeat. 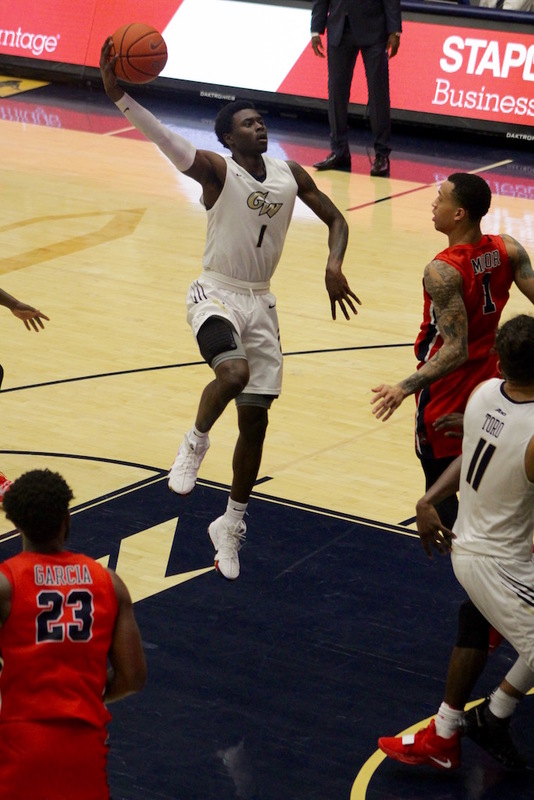 Transfer Armel Potter shined in his GW debut with a game-high 21 points, showing an ability to get into the lane and finish with ease on a night when he shot 7-of-13 from the floor and 7-of-10 from the free throw line. 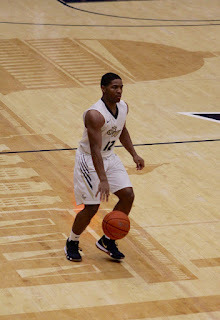 Unfortunately, first year Shandon Brown (team-high three assists in 16 minutes) was the only other Colonial to have success at the charity stripe. 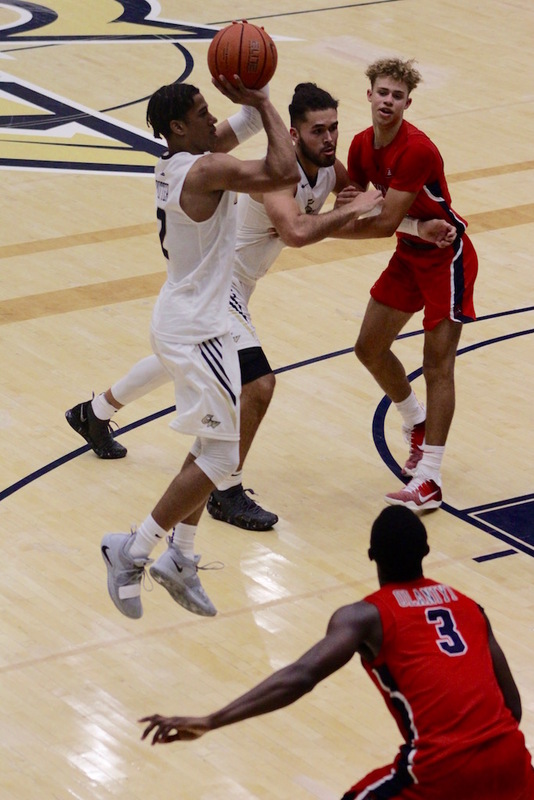 Outside of Brown's 2-for-2 night and aside from Potter the balance of the Colonials were 7-of-22 for the game at the line. 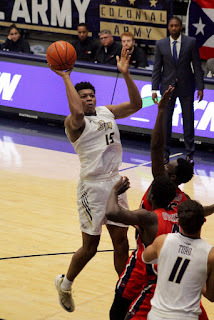 As a team, GW connected on 3-of-12 freebies in OT to hand the game to Stony Brook. 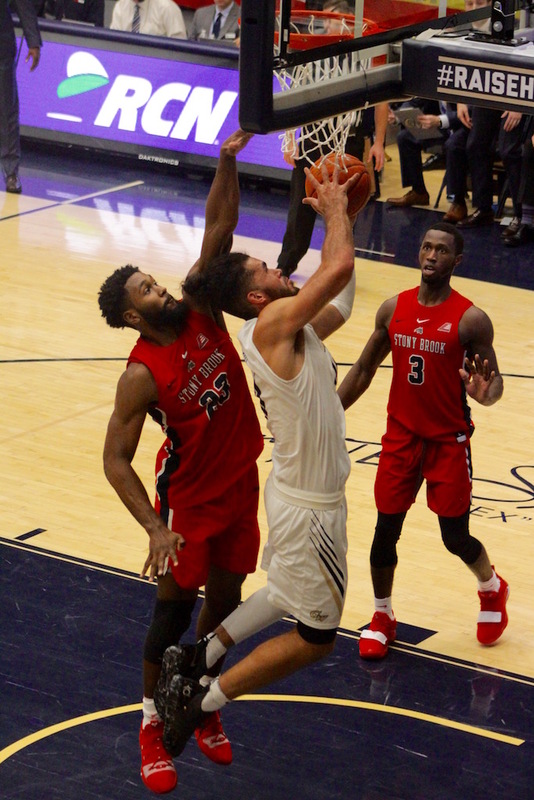 Georgetown Prep's Mezie Offurum netted 12 in his first collegiate game while grabbing six boards in a starting role in his team-high 40-plus minutes of action, while junior big man Arnaldo Toro gutted out 13 points and 11 rebounds in 38 minutes of play. 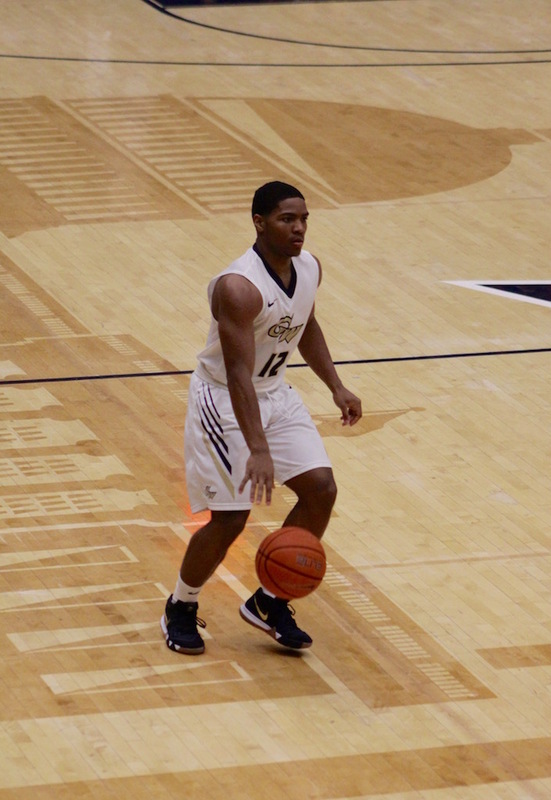 Sophomores guards Justin Mazzulla and Terry Nolan Jr. each dropped in nine as part of GW's three-guard starting unit. 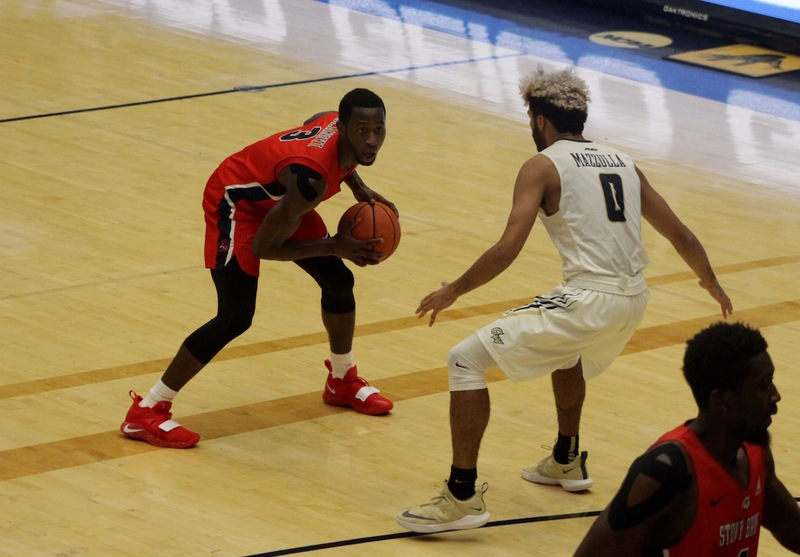 Stony Brook's Elijah Olaniyi led the charge for the victors with 18 points and 10 rebounds in 40-plus minutes, while three other Seawolves, Miles Latimer (15), Andrew Garcia (14) and Akwasi Yeboah (12) contributed greatly to their squad's 77 points after going scoreless for nearly 10:00. 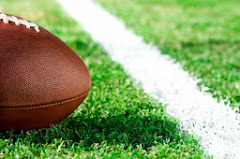 The game was tied just twice as the team's entered OT knotted at 63, while overtime also saw the only lead change of the contest. 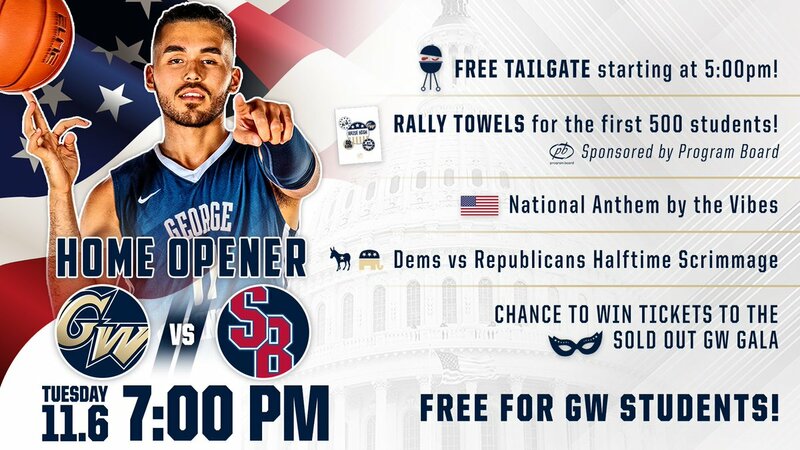 GW gets a shot at redemption once again at the Charles E. Smith Center on Thursday against Siena at 7 PM.